chicken wrap | Cooking With Mr. C.
1. In a bowl, mix romano cheese and caesar dressing together. 2. Open a wrap, flat on a dish. Spread a tbs. of dressing on wrap. 3. 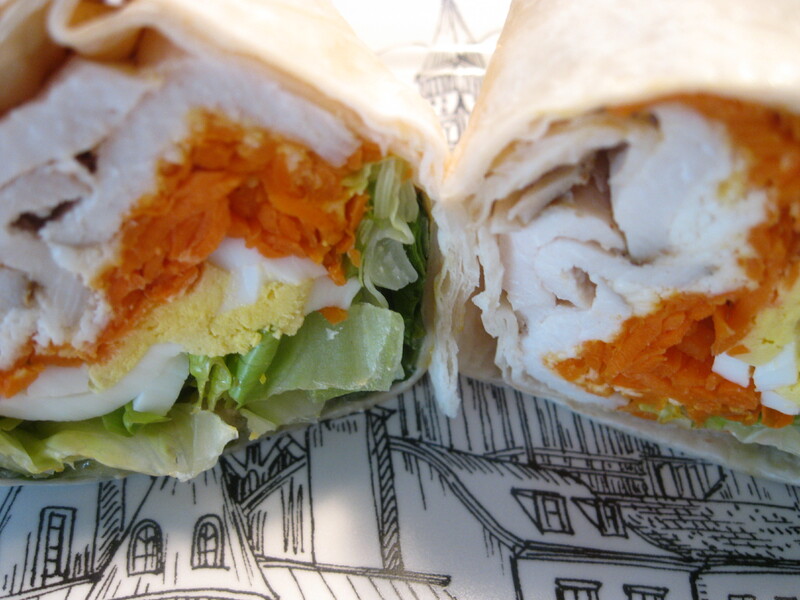 Layer some chicken, lettuce, hard boiled egg and shredded carrots on top. 4. Roll wrap and fold in edges. Cut wrap in half.